I can’t. I just can’t. This guy is too rich for my blood, but if I had an extra $150 laying around, you can bet I’d snap him up in a heartbeat! 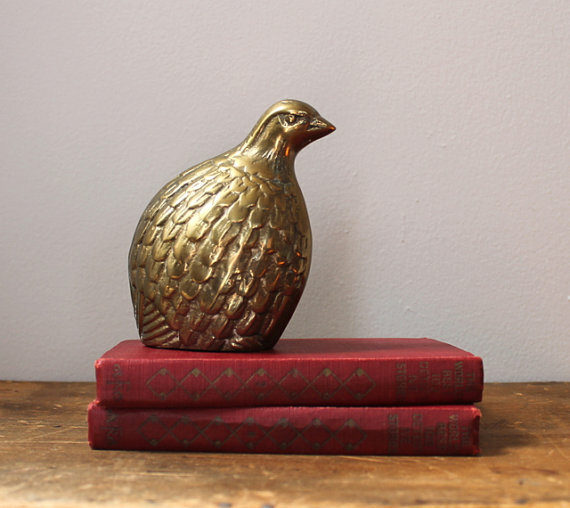 Fancy a brass quail instead? Here you go. I’d love to put this on my nightstand so I could wake up every day to my own little quail! Yes I know, I’m an odd duck. 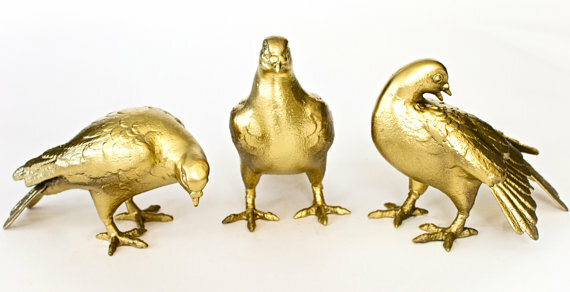 How about some brass doves? They’re so bright! And cute! And expensive, but let’s just pretend like I could afford them. For a second. 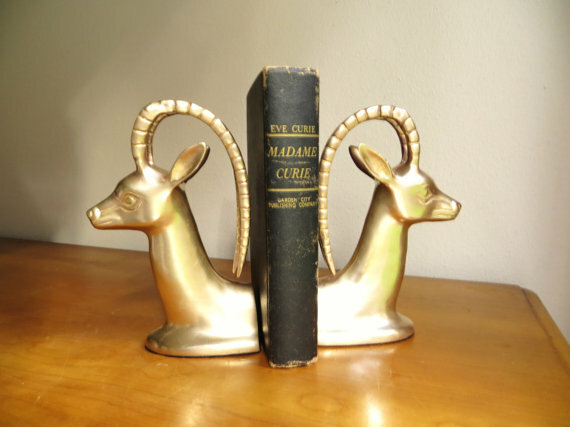 I CAN’T RIGHT NOW with these impala bookends – just look at them!! Don’t you just want your books sandwiched between these beauts?? And these giraffes are killing me with cuteness. KILLING ME. Wouldn’t these be adorable in a nursery? Or in a grown woman’s home (aka mine). What about everyone else? What are you obsessing over these days? 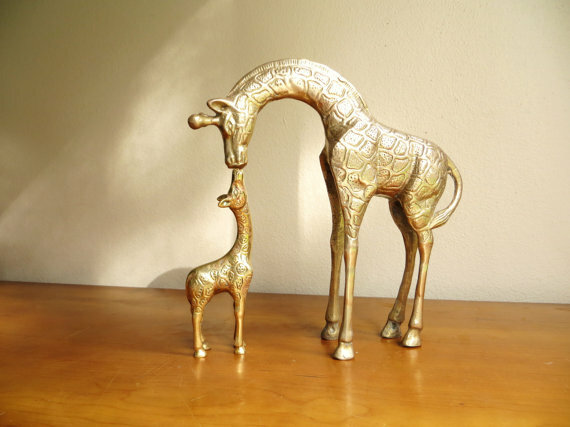 Am I the only one in love with brass animals? Tell me so I don’t feel so alone! I like your blog :). 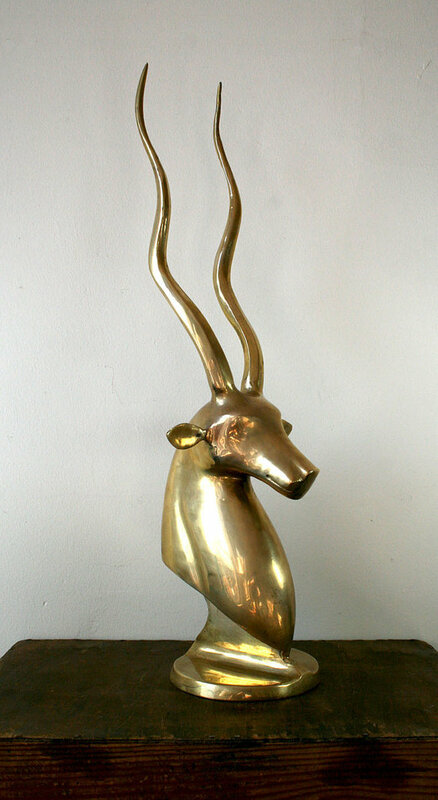 I found it while googling “brass animals”. I have a question about the Mommy/baby kissing giraffes. I have the same set that my mother gave to me before she passed away. I haven’t found any info on them, like; where they originate, the metal properties etc. My baby piece has severe corrosion on its neck that breaks my heart…do you have any suggestions on where I might look for info?